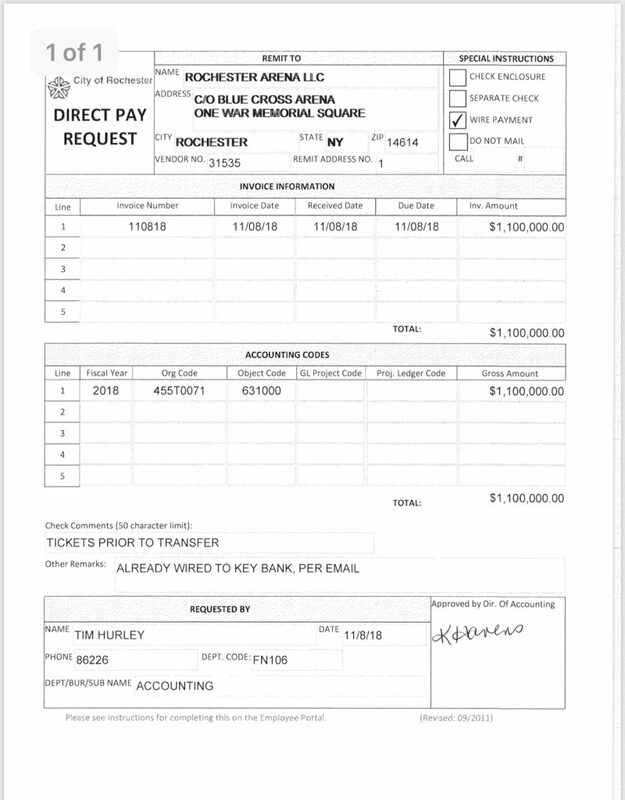 The City of Rochester quietly paid the company managing the Blue Cross Arena $1.1 million back in November – and won’t release any details about the payment. The direct pay request noted the payment was for “tickets prior to transfer.” The Pegulas took over the arena in August. The interim agreement went through the end of the year. Rochester for All did a follow-up FOIL request asking for specifics about the tickets, including the events and number of tickets. We also asked for an explanation of the accounting codes on the direct pay request. 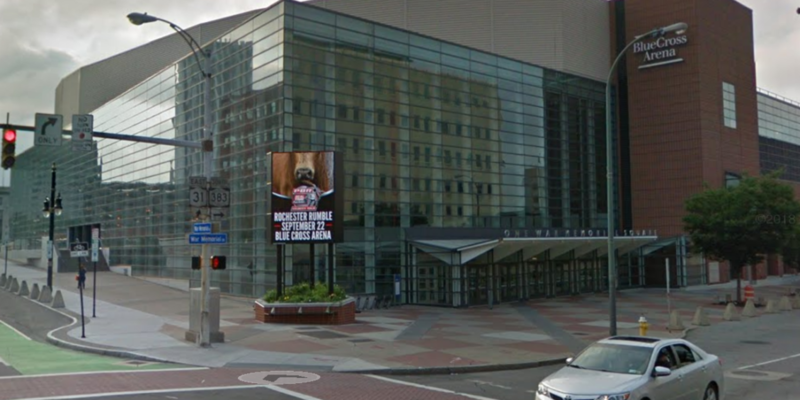 An email to a Pegula Sports Entertainment spokesman went unanswered. Two people familiar with the management of large area venues spoke to Rochester for All on the condition they not be quoted. They said it’s very possible the prior operator, SMG, collected around $1.1 million in ticket sales for events occurring after the arena changed hands. There was a Luke Bryan show, for example, in October. That revenue would have to be turned over to the new arena operator. Both people, however, found it suspicious that $1.1 million is an even number. “It’s exact. It doesn’t work that way. I can tell you that ticket reports are always a random number,” said one of the sources. They said it appears the city and the Pegulas negotiated the $1.1 million figure, which could be reflected in the withheld email chain. Since the city won’t provide any details of this payment, we have no way of assessing how taxpayers made out in this transaction.